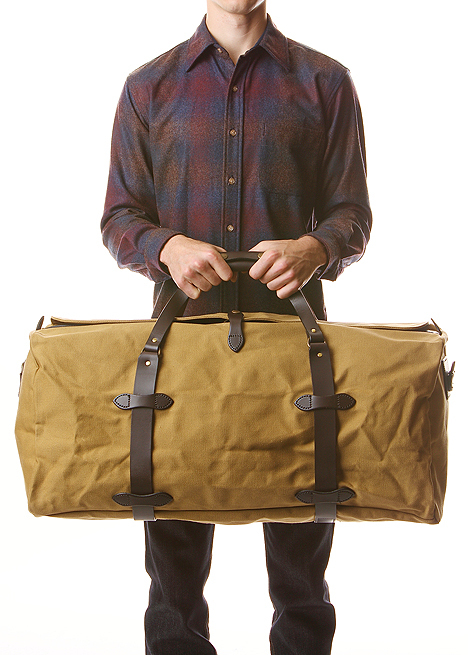 For those that choose to ignore the words â€˜pack lightâ€™, thereâ€™s the Filson large duffle bag just for you. Made from paraffin treated cotton twill with vegan tanned leather features, there is more than enough room to fit whatever you may need for that month-long trip. Known for their insanely high quality, you can rest assured that this bag will see you through to the end of your traveling days. Get yours online from Blackbird.